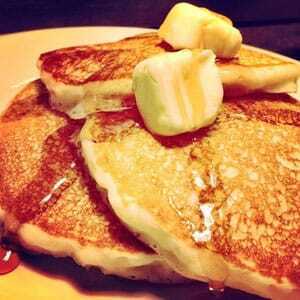 Breakfast at Cookies & Crèma is hearty and made from scratch. Beverages at Cookies & Crèma run the gamut from a classic latte to house specialties like a Mayan mocha. 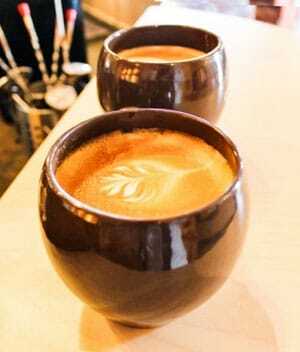 Cookies & Crèma, a locally-owned coffee stop, is a great place to grab your morning Joe. Owner April Arellano, a self-proclaimed coffee lover, is proud of the freshness and quality of every steaming (or iced) cup they serve. Local dairy Royal Crest is the supplier for milk used in coffee and tea drinks, but customers can also choose from almond, coconut, and soy milk at no extra charge. Familiar favorites like caramel macchiato and café au lait sit on the menu alongside house specialties like snickerdoodle latte and Mayan mocha. On a warm day, patrons may opt for something cold and refreshing like a frozen hot chocolate or a frappuccino. Smoothies are made from fruit and a bit of fruit juice with no added sugar. For a creamier treat, milk or coconut milk can be added to a smoothie. But drinks at Cookies & Crèma are just the beginning of the story. Cookies, as the name suggests, are an important part of the menu and are made in-house every day, as are the scones. Muffins, bread, pastries, and pecan pie are sourced from a Denver baker. If you’re looking for heartier fare, the breakfast burritos – which are generous in their portion size to say the least – might be just the thing. Lunchtime means sandwiches, like the “Cowboy” sandwich I enjoyed on a recent visit. A tender chicken breast nestled between slices of bacon and a chipotle aioli gave it a richness and pleasant spiciness. The “Tuscan” features freshly-roasted (not processed or pressed) turkey breast with basil pesto and Swiss cheese. Arellano, who comes from a long line of restaurateurs in her native Arkansas, knows that food and community go together. Especially in a coffee place, people come in looking for somewhere they can sit a spell and enjoy themselves. To that end, comfortable seating and Wi-Fi are abundantly available. A few times a month, story time for young children is held, allowing moms and dads to catch a moment to connect with friends. Since the restaurant is closed at 6:00 p.m. during the week and 2:30 p.m. on weekends, it is available after-hours for private events, like meetings and parties, and can accommodate up to 45 people. Cookies & Crèma is located at 4284 Trail Boss Drive in Castle Rock, adjacent to the Kaiser Permanente clinic. Hours on weekdays are: 6:00 a.m. until 6:00 p.m., weekends 7:00 a.m. until 2:30 p.m. On weekends, breakfast is served all day. 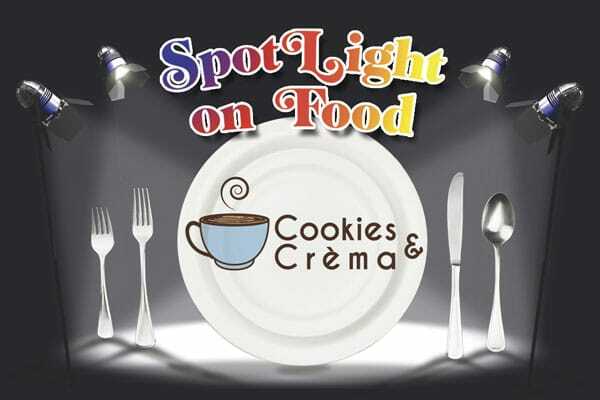 For more info about Cookies & Crèma, visit www.cookiesandcrema.com; for information about storytime dates and times, visit Cookies & Crèma on Facebook.